While the desire to fit into a smaller pant size is certainly motivation enough to lose weight, dropping those extra pounds is also essential for improving your health. At the office of Tim Martin M.D. in Abilene, Texas, you have a team of weight loss experts and Ideal Protein® nutrition coaches on your side to help you reach your goals. To book your weight loss consultation today, click on the online scheduler or call the office directly. Poor diet and a lack of physical activity are among the leading causes of weight gain, but they’re not the only concerns. It can become incredibly frustrating if that scale doesn’t budge, even though you’re watching what you eat and are getting more physical activity. Women can also experience weight fluctuations due to polycystic ovarian syndrome (PCOS) or menopause. No matter what’s causing your weight gain, it’s important to get to the root of the issue and start your weight loss journey for better health. 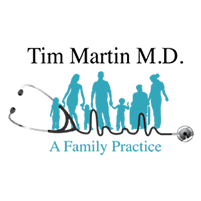 The team at the office of Tim Martin M.D. get to know you as a person before designing your weight-loss plan. They ask about your personal health history, daily lifestyle, and eating habits, so they can better understand why you’re gaining weight — or having difficulty dropping extra pounds. Dr. Martin often first calculates your body mass index (BMI) to determine if you’re at a healthy weight for your frame. Your BMI should be between 18.5-25.0. If your BMI is over 25, you’re at risk of developing obesity-related diseases. The BMI calculation isn’t perfect, though, and doesn’t account for muscle mass or large frame size, so Dr. Martin may use additional methods to determine an ideal weight range for you. Generally, you should focus on a slow and steady weight reduction of 1-2 pounds per week. Dr. Martin and his team of nutrition experts and Ideal Protein nutrition coaches help you develop healthy eating plans, so you can lose the weight while developing healthy lifestyle changes to keep the weight off. The ketogenic Ideal Protein approach incorporates a diet rich in healthy fats and proteins that you enjoy eating. Throughout your Ideal Protein weight-loss plan, you learn which foods to eat, how often you need to eat, and how to prepare your meals healthfully. 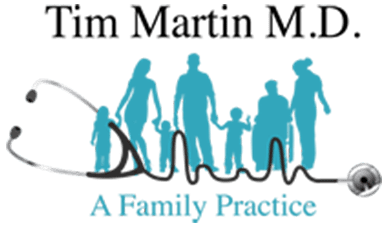 Your Ideal Protein nutrition coach at the office of Tim Martin, M.D. meets with you regularly to ensure you’re reaching your weight loss goals. The team at the office of Tim Martin M.D. can help you reach your ideal weight, so you can get on top of your health. Schedule your weight loss evaluation online or over the phone.